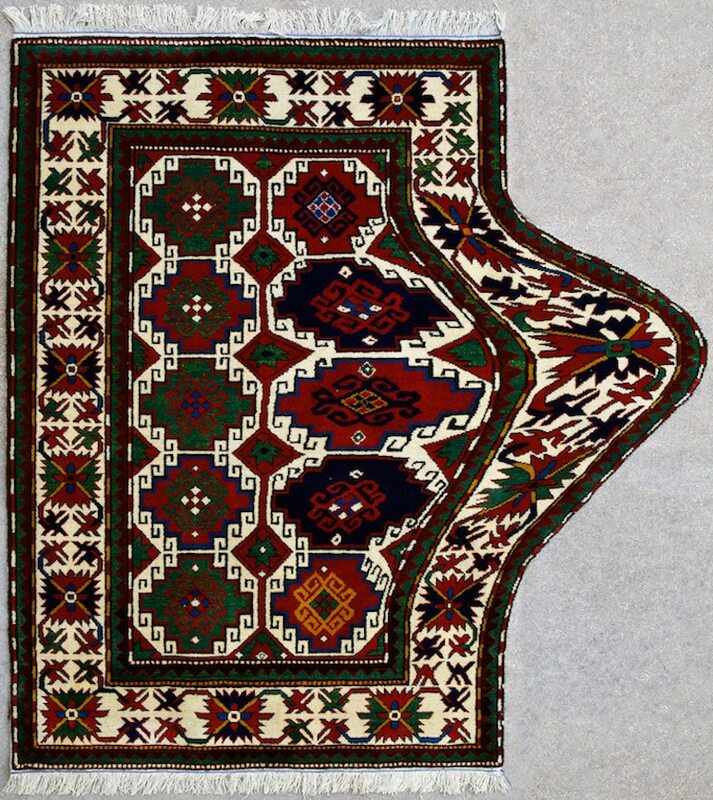 As time wore on and the neolithic cultures settled, textiles become increasingly complex. 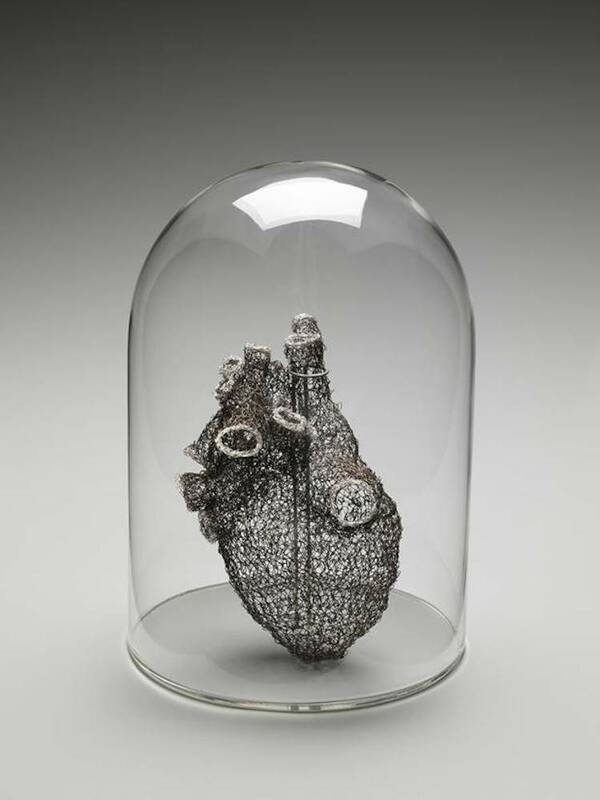 Many early pieces were made with felting, which agitates animal fibers (like wool) to interlock them in a strong bond. Beyond that, though, humans also spun fibers to create strands of thread. They were woven together and resemble more of what we’re used to today. 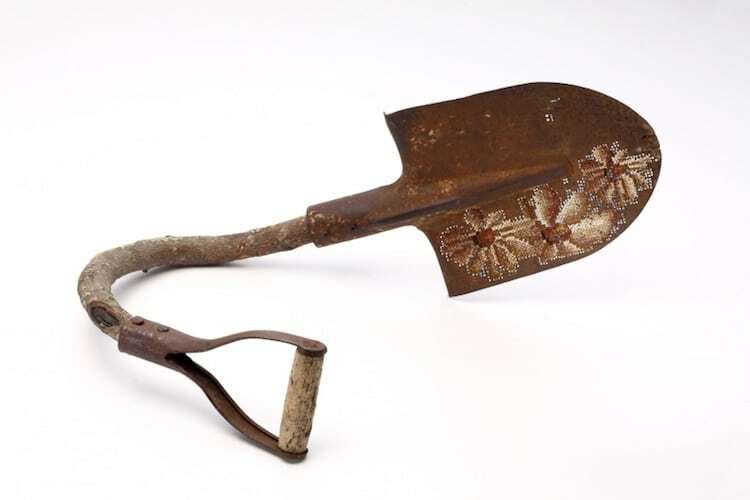 Creating clothing and other textiles was laborious—everything had to be done by hand. 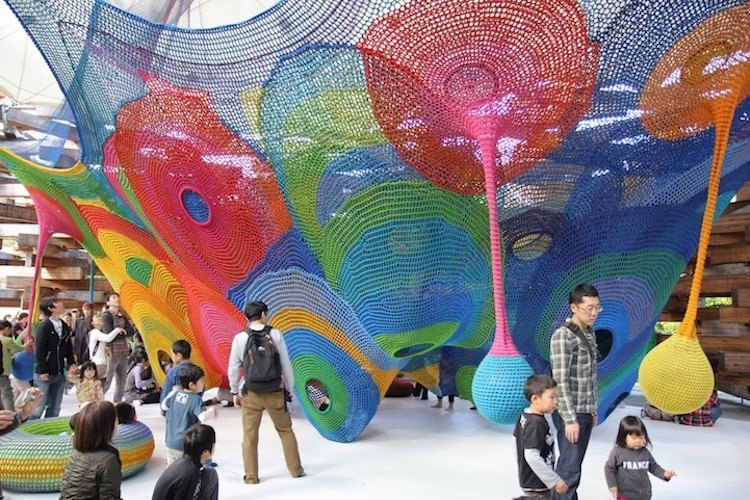 This included gathering fibers from plants or animals and then twisting them to make it into yarn. In addition to being a tedious process, making an article of clothing was expensive; tailors and seamstresses altered garments to ensure that they lasted a long time. Depending on how wealthy someone was, they could get imported fabrics and colorful dyes. The Silk Road trade routes brought Chinese silk to India, Africa, and Europe. While clothing was still the dominant type of fiber art, the aristocracy could also afford to decorate the walls, floors, and furniture of their palaces in lush and vibrant pieces. 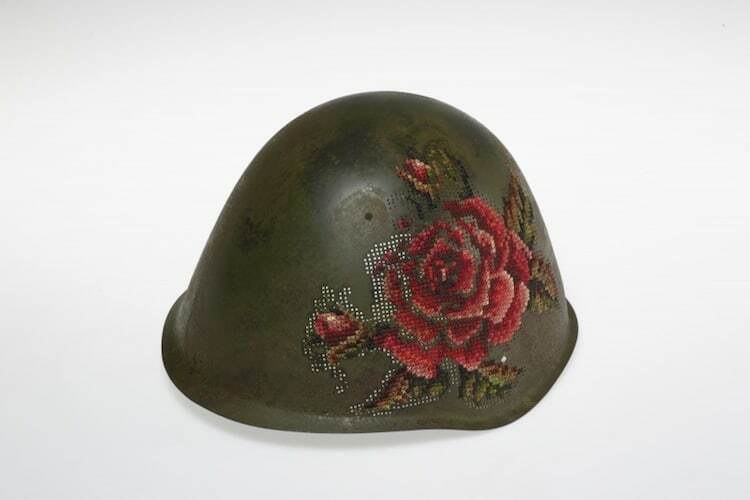 The Industrial Revolution was a turning point for textiles. With the invention of the cotton gin, spinning jenny, and power loom, creating fabric was now automated and could be produced on a massive scale. Textiles were not just for the wealthy anymore; as prices dropped, they were available to more of society. It also meant that these materials were not as precious, and creative people could experiment with them in previously unseen ways. 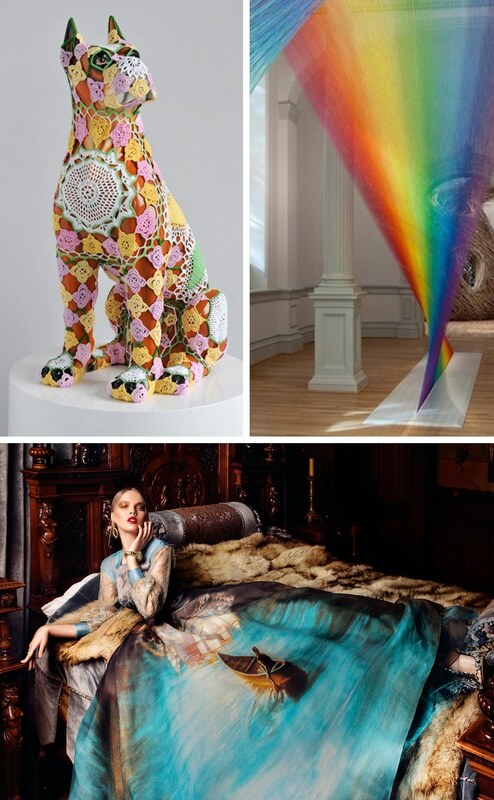 The rich history of textiles has laid the groundwork for contemporary creatives. 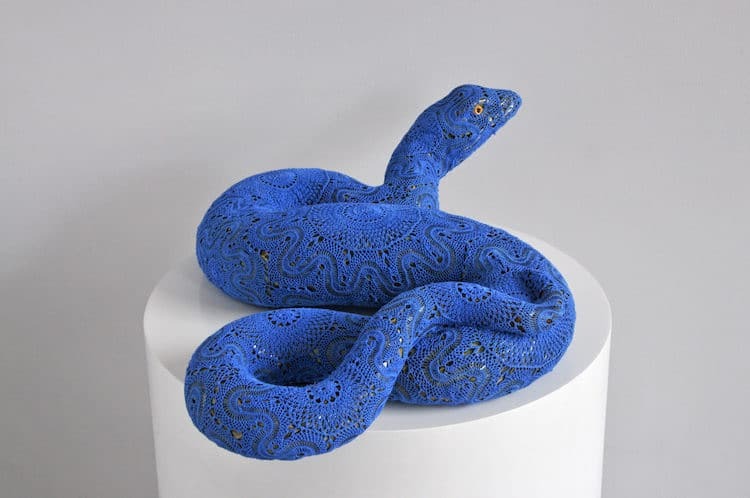 In modern times, the terms fiber art or textile art generally describe textile-based objects that have no intended use. Although this realm has previously been seen as “women’s work,” artists—particularly female artists in the 1960s and 70s—started to reclaim the field and elevate it into high art. 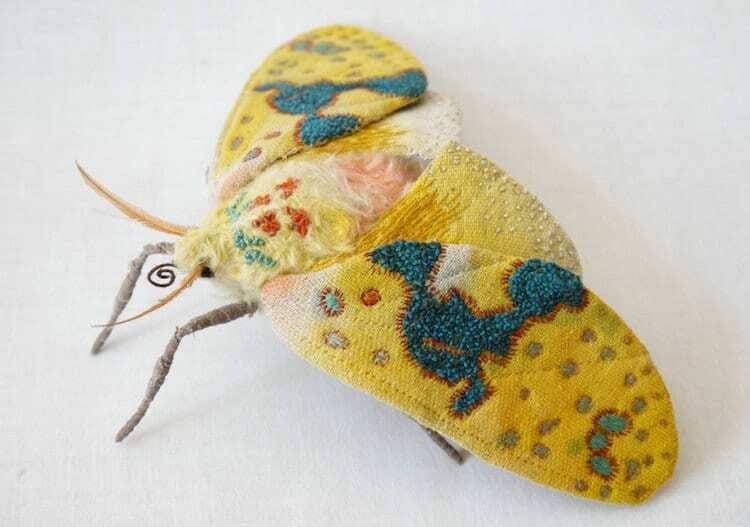 Textile art is broad term that can encompass many types of approaches. 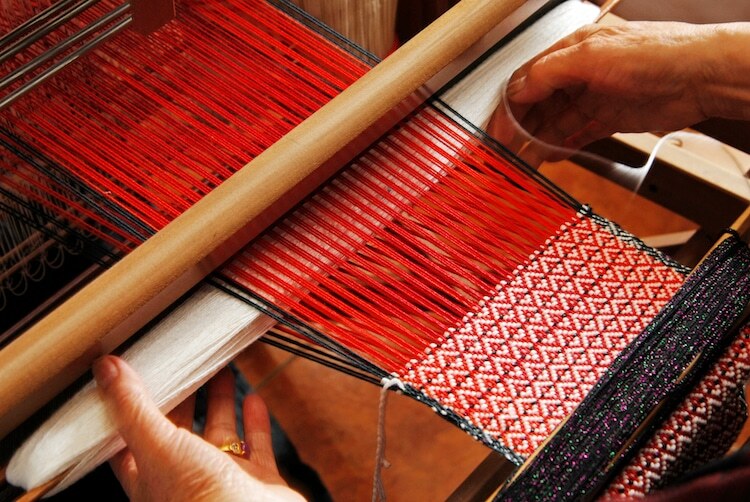 Weaving is one of the earliest techniques. Here, threads are laced together on a loom at intersecting angles to form cloth. 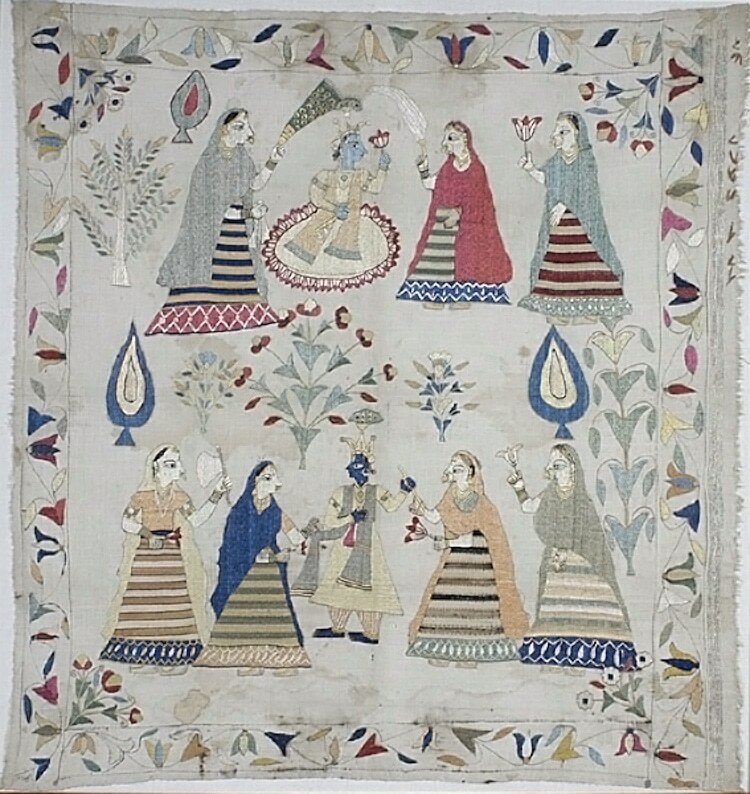 This is commonly seen in garments, but weavings can also be made into display artwork. 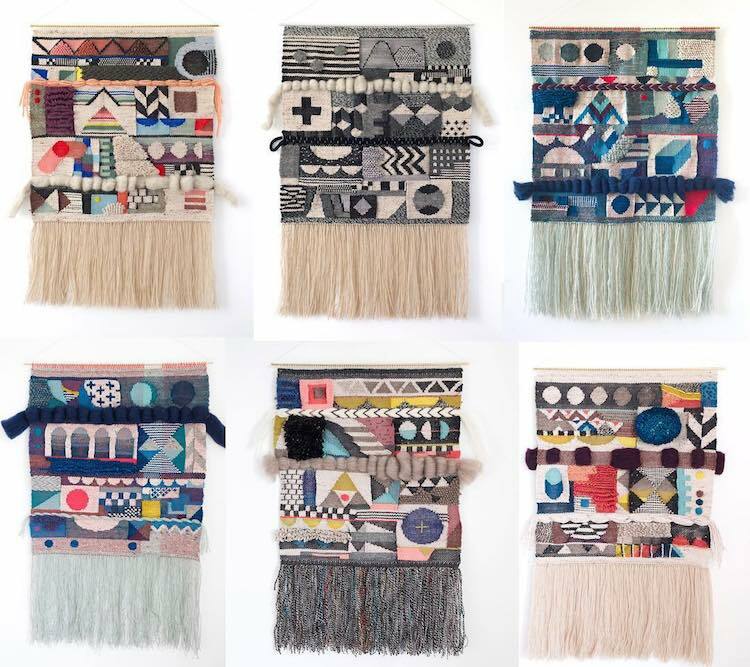 These are often displayed as wall hangings, and modern weavers like Genevieve Griffiths are experimenting with yarn weight and stitch length to create highly textured works. 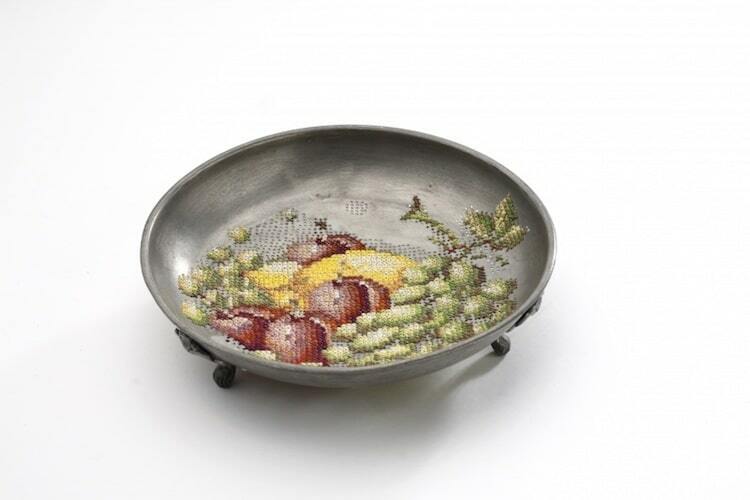 Embroidery is another popular form, in which artists use thread to stitch decorative designs onto fabric. 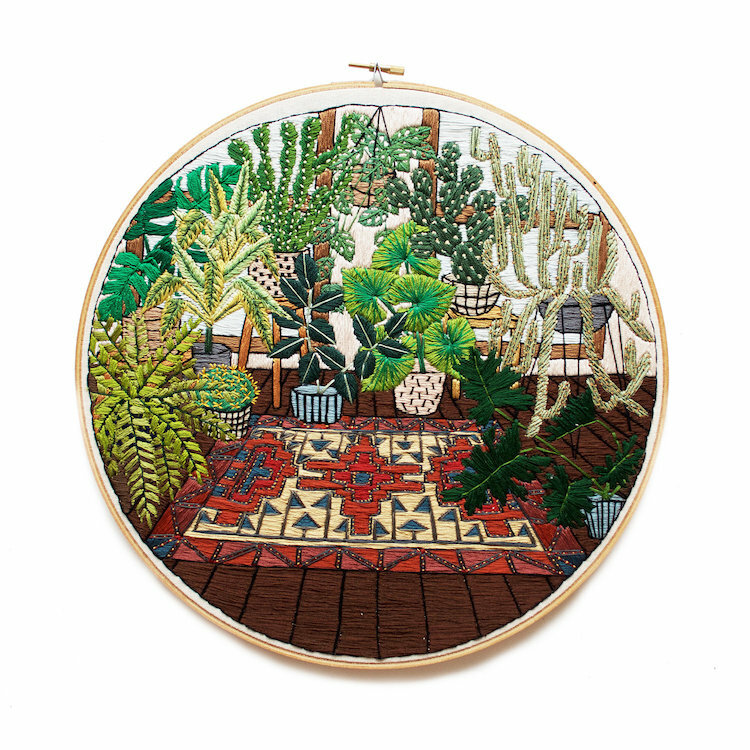 Often referred to as hoop art, the images mostly stay within the confines of the circular frame. 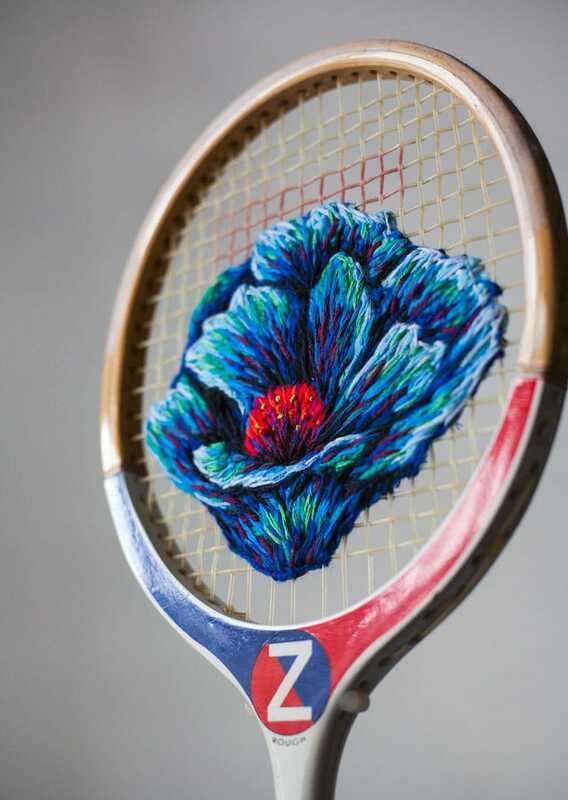 But contemporary embroidery has no rules, so it’s not unusual to see fabric and thread spill from the hoop. Ana Teresa Barboza is a great exampleof this method of practice. 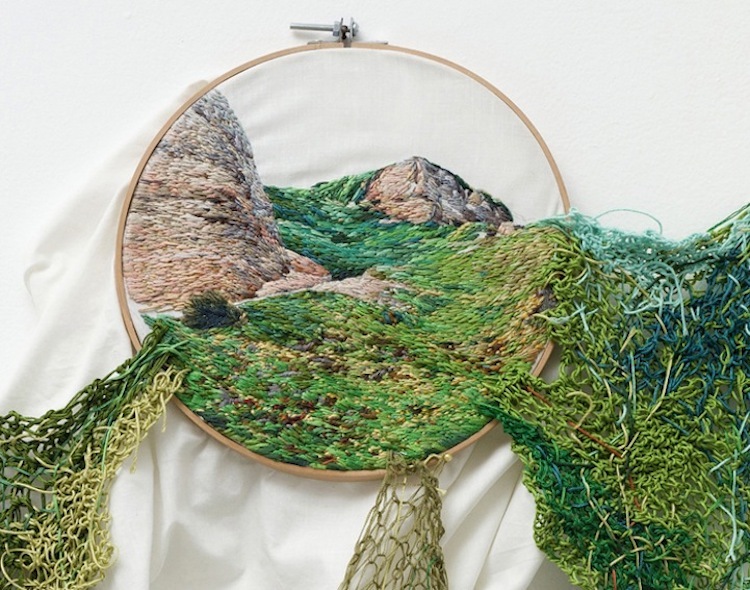 In her artwork, she creates landscapes that extend well beyond the hoop and flow towards the floor. 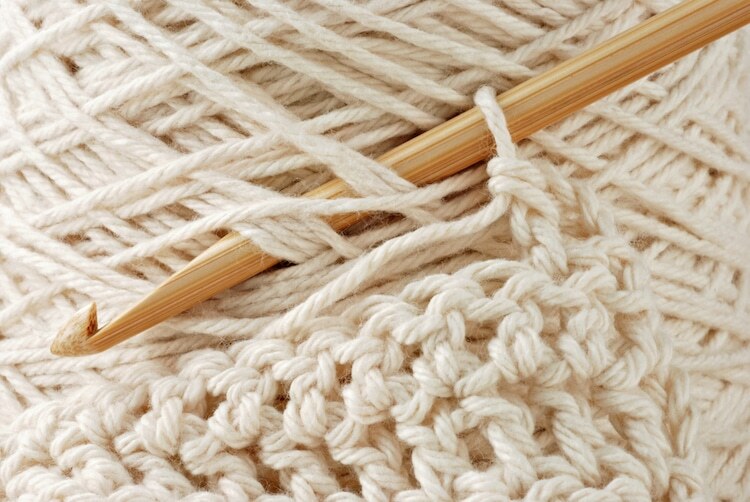 Knitting and crocheting are two other techniques for working with textiles. In both, large needles are used—double and single, respectively—to twist thread into different stitches, which in turn create larger patterns. These approaches are extremely common in your favorite sweater or blanket, but artists have co-opted as a means of expression. 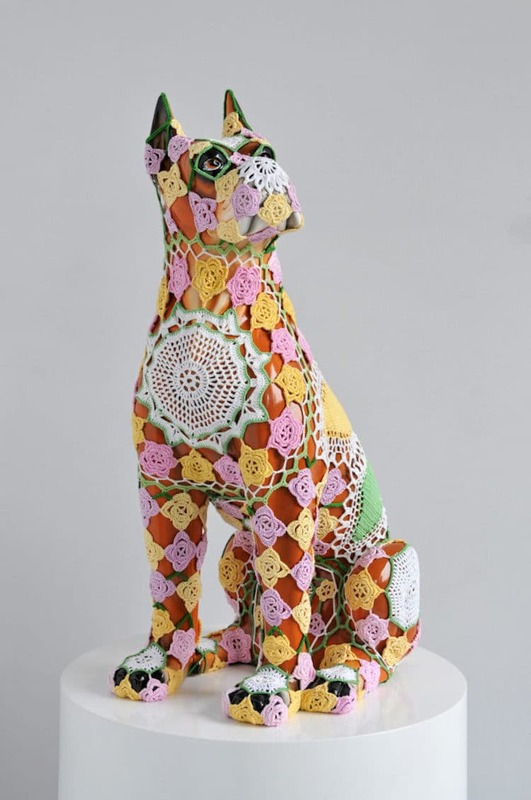 Joana Vasconcelos uses crochet to cloak animal statues in colorful patterns. 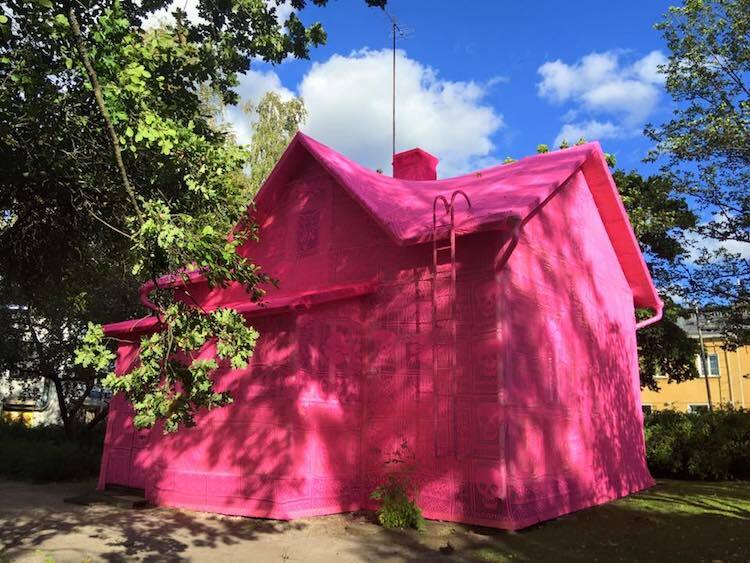 Likewise, the artist Olek “yarn bombs” buildings—including covering an entire home in bright pink crochet. 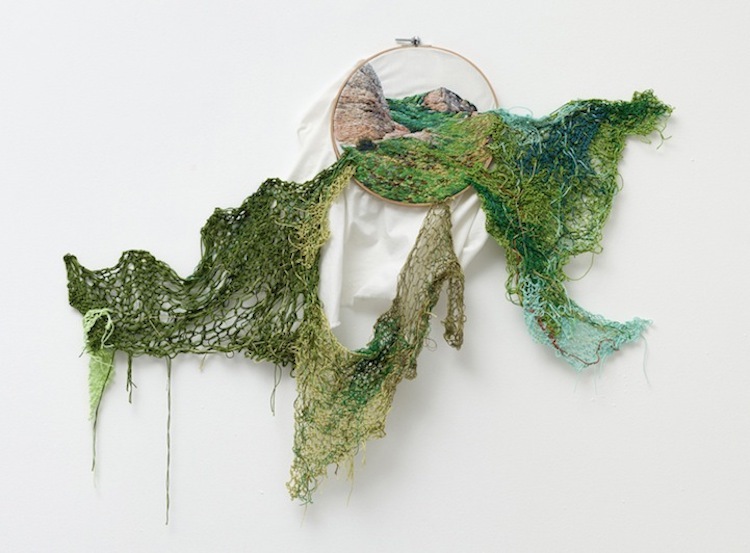 While many textile artists use traditional techniques as a starting point for their work, other artists deconstruct these established practices to create minimalist art that’s nonetheless impactful. 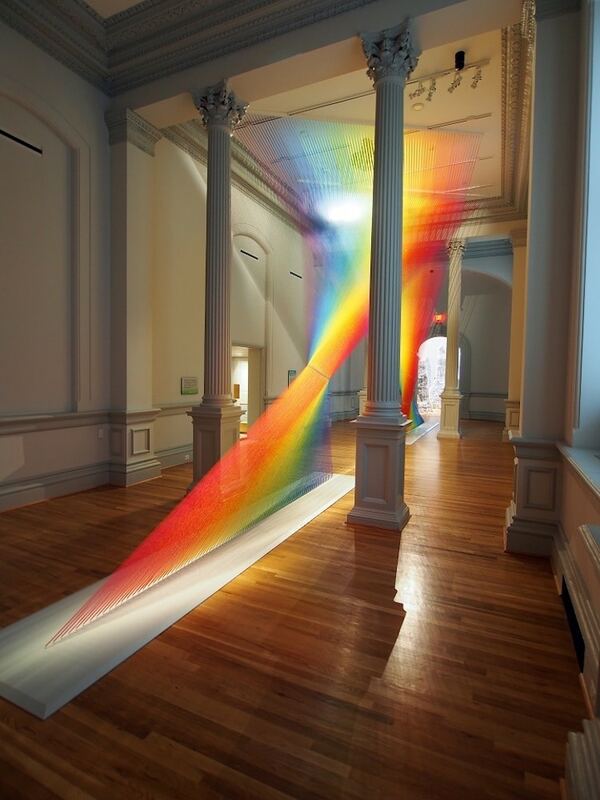 Gabriel Dawe is a fantastic example of this. 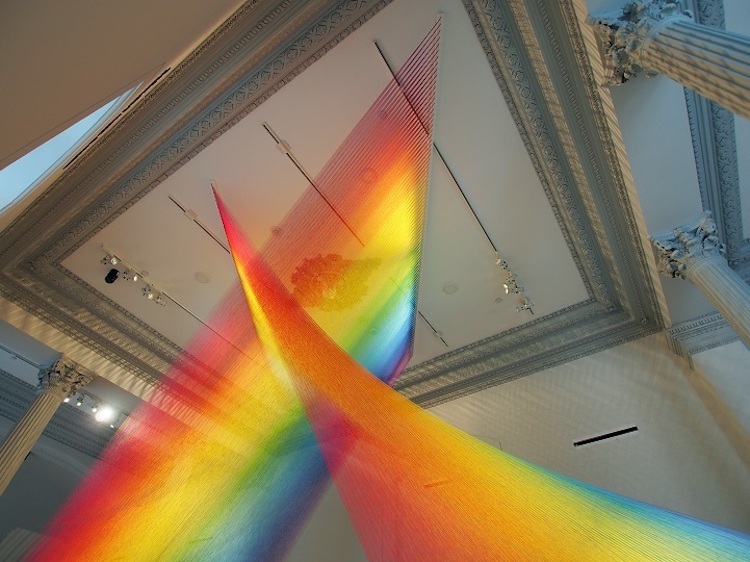 His site-specific installations use razor-thin strands of colorful thread that stretch across rooms. The result brings shining rays of rainbow light indoors. 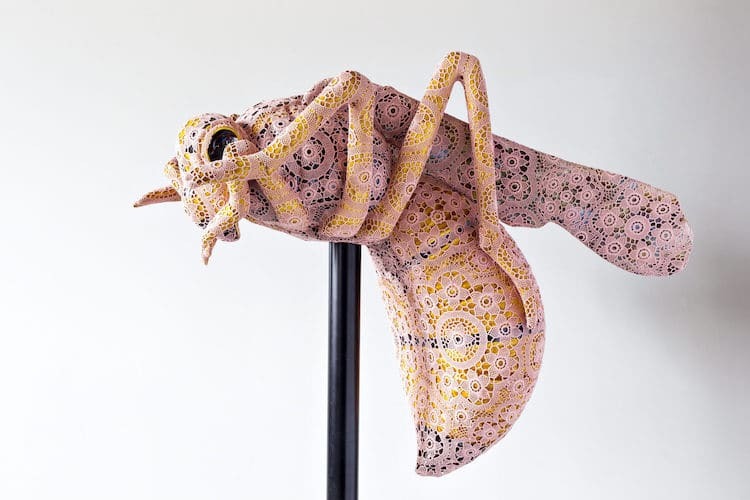 With its myriad of visual possibilities and rich history, it’s no surprise that contemporary textile artists showcase the vast differences that are possible when dealing with fabric, thread, and yarn. 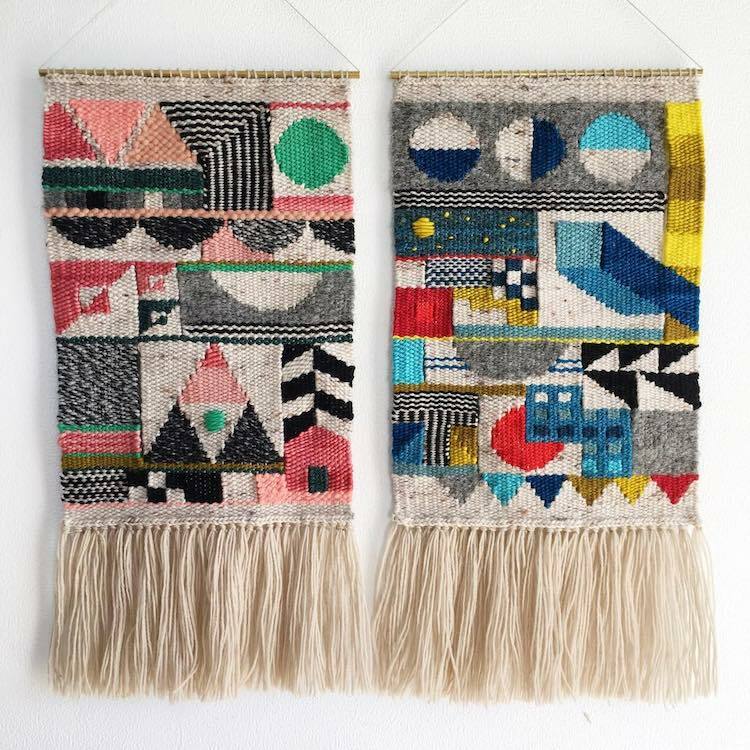 New Zealand-based artist Genevieve Griffiths uses weaving to create architecture-inspired wall hangings. 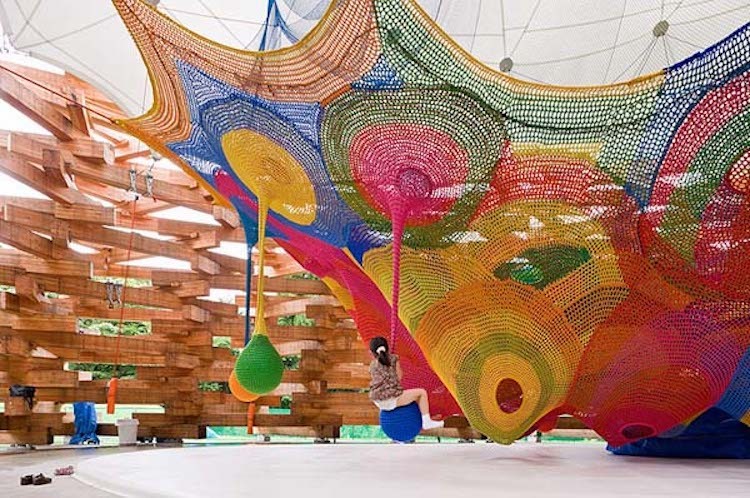 Artists including Joana Vasconcelos, Olek, Anne Mondro, and Toshiko Horiuchi-MacAdamutilize crochet to create work that’s both large and small. 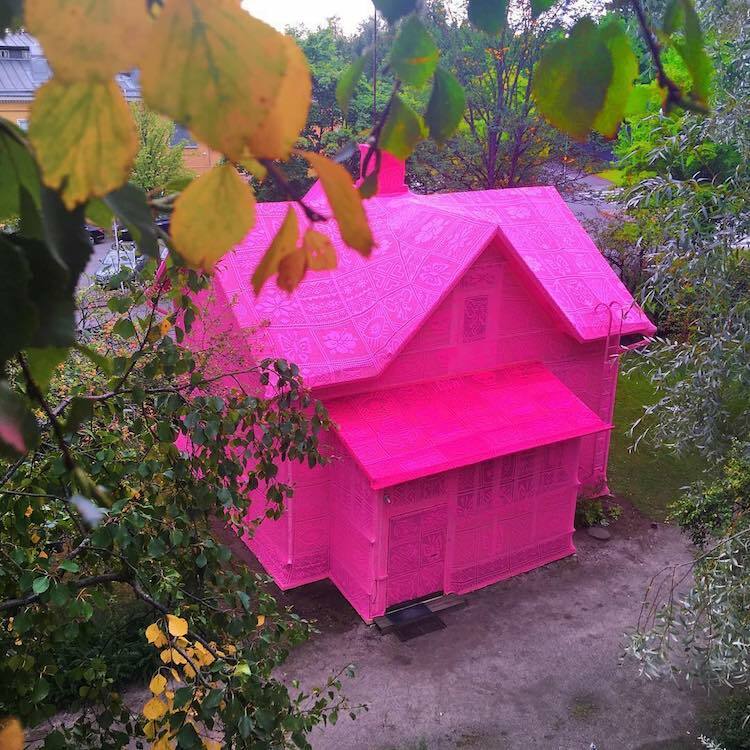 Olek and Horiuchi-MacAdam employ it on a large scale to produce awe-inspiring and participatory pieces. 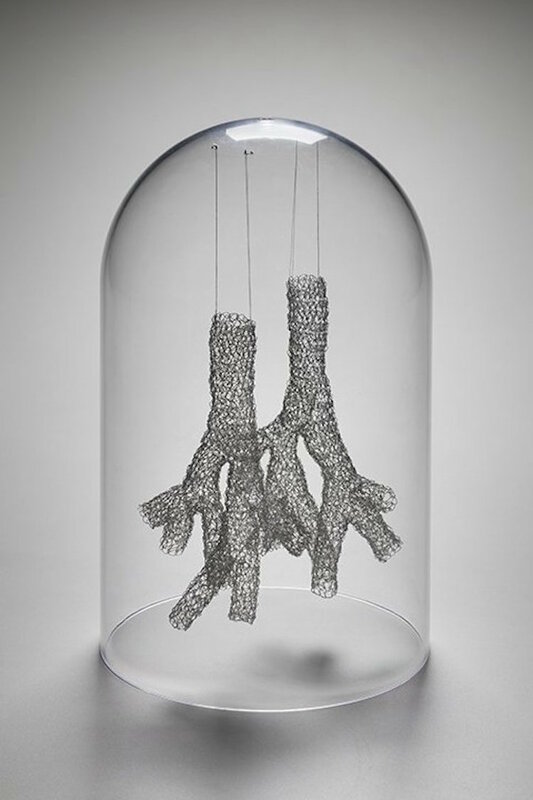 But don’t assume that crochet has to only be created in yarn—Mondro uses thin wire to create her delicate sculptures. 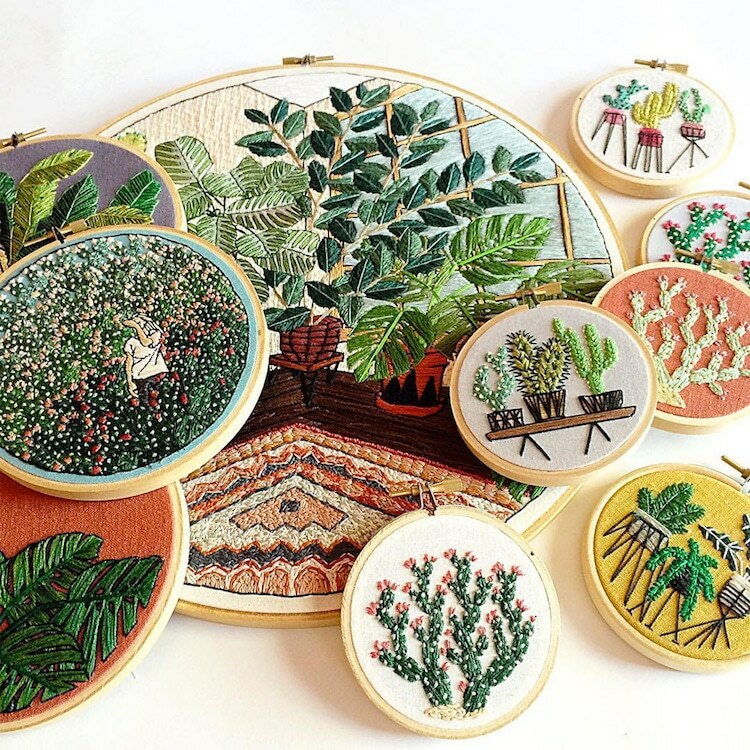 Embroidery has had a resurgence over the past few years, and artists are continually pushing it in new directions. 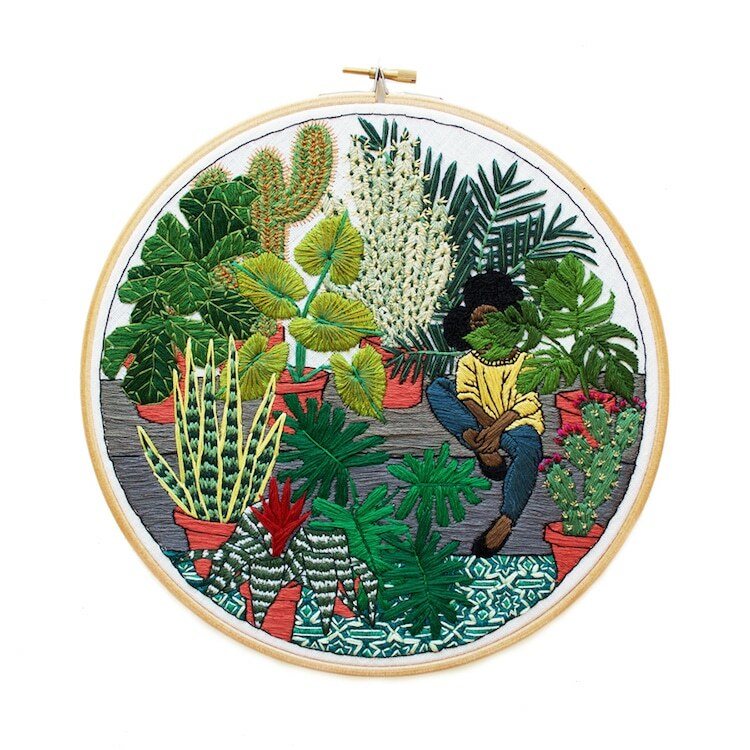 Ana Teresa Barboza and Sarah K. Benning incorporate the standard embroidery hoop in their work, while others like Danielle Clough and Severija Incirauskaite-Kriauneviciene prefer unconventional canvases. 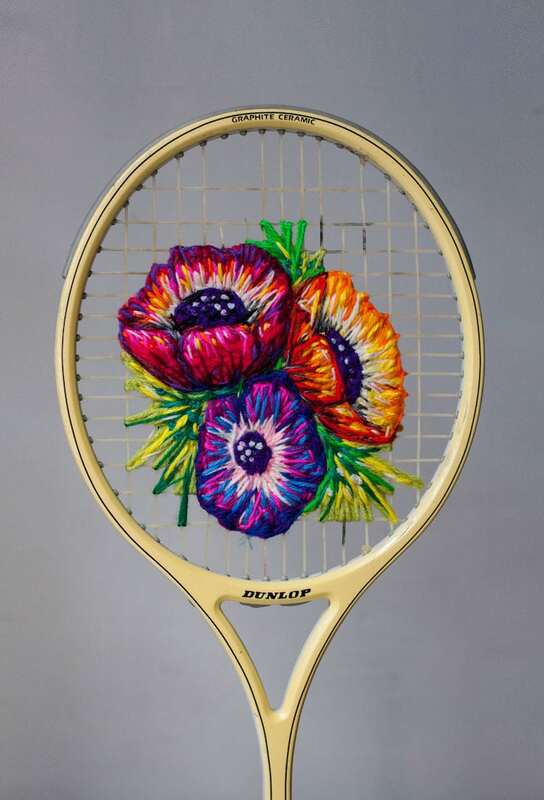 Clough stitches colorful florals on tennis rackets, and Incirauskaite-Kriauneviciene cross-stitches designs into metal objects such as plates and shovels. 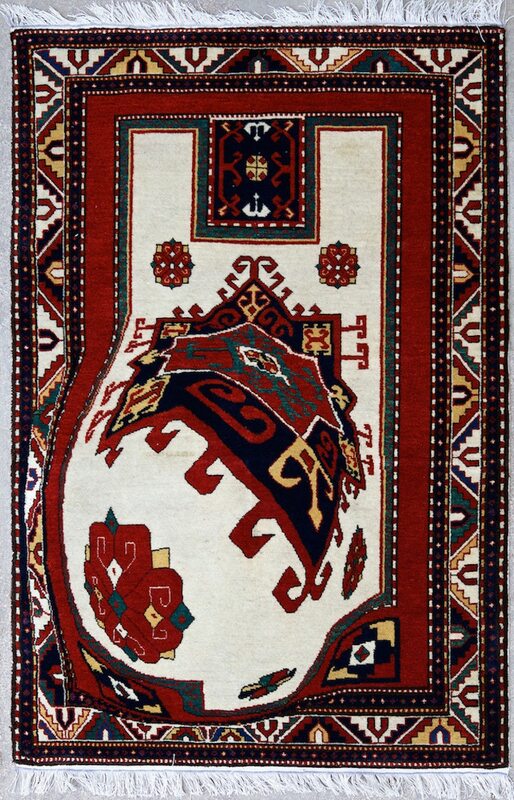 In the world of textile art, rugs have been around a long time. The term first came into existence back in the 13th century, and they’re still as popular as ever today. 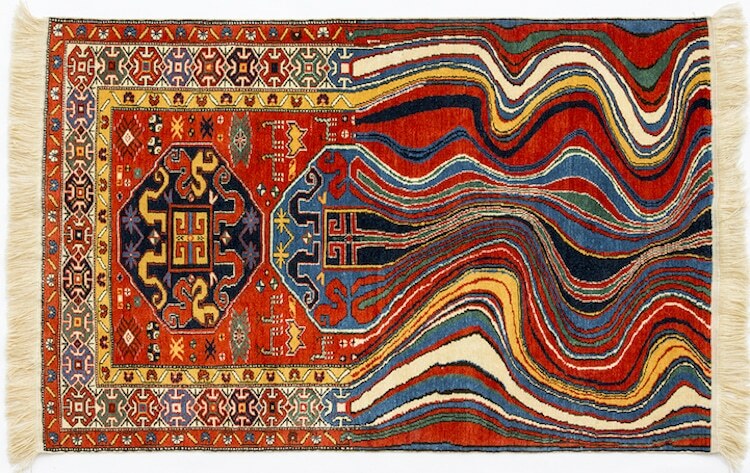 Artist Faig Ahmed puts a contemporary spin on carpets by adding computer-style glitches to the otherwise traditional motifs. 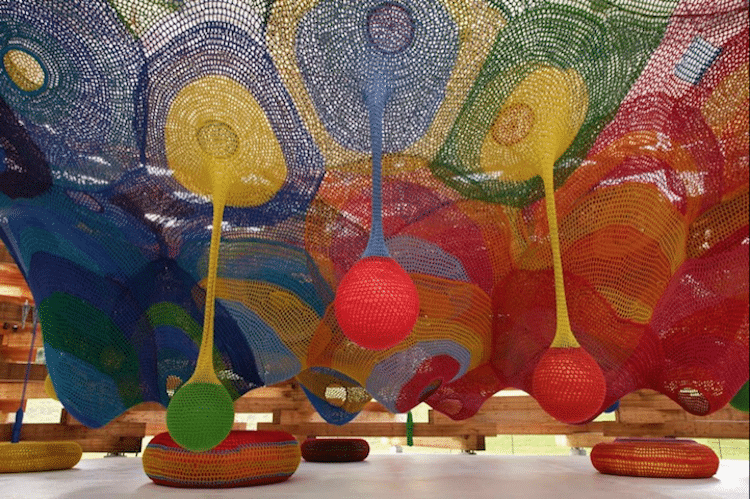 As fiber art has evolved, its materials are the basis for sculpture. 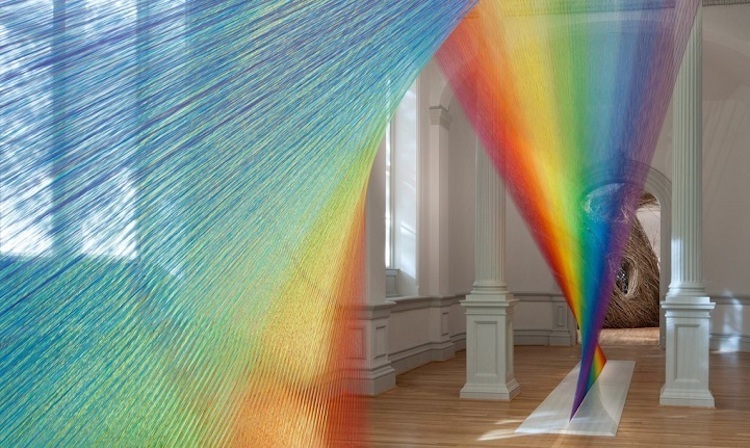 Gabriel Dawe uses thread to construct rainbow-like rays indoors, while Yumi Okita creates small fabric moths that can fit in the palm of your hand. Textiles aren’t completely divorced from their roots. Its humble beginnings continue to thrive through the fashion world. 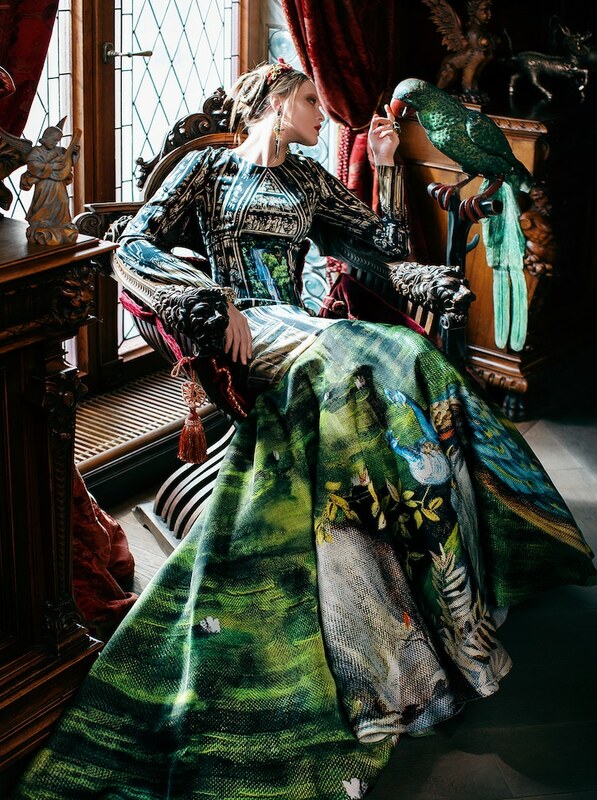 Although many articles of clothing are still made for a purely utilitarian purpose, avant garde designerss imagine garments as spectacular pieces of fabric art. 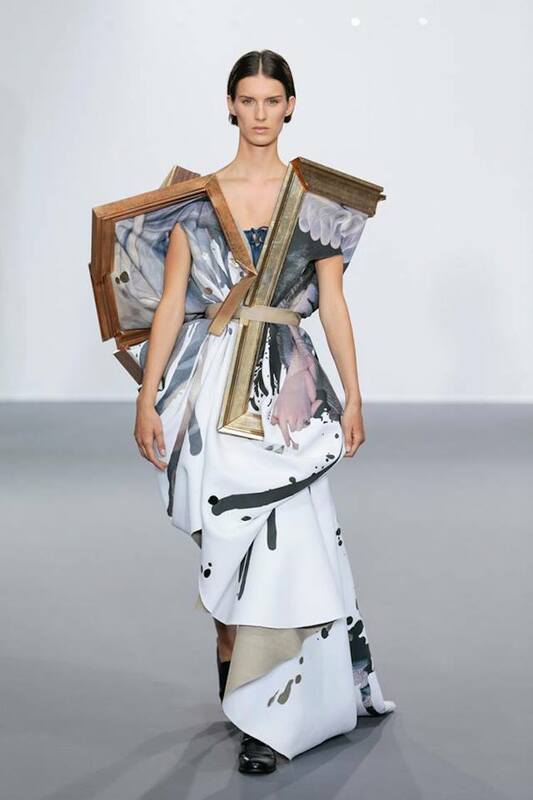 Designers Viktor & Rolf take this idea literally with dresses that resemble framed paintings. 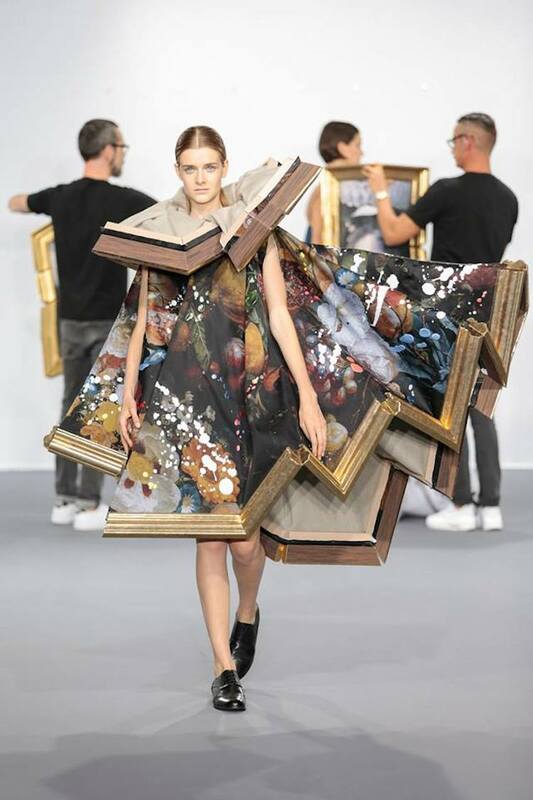 And similarly for artist Svetlana Lyalina, a dress becomes a mobile canvas, albeit tailored to the human body. 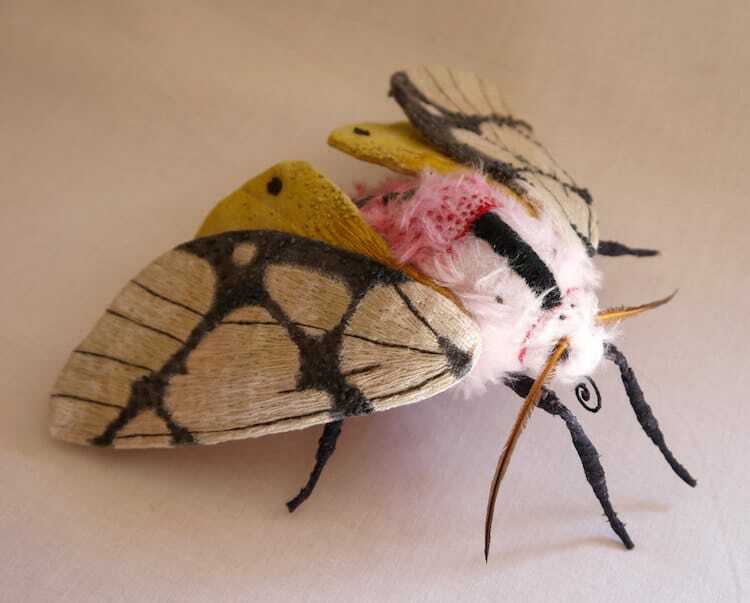 It’s easy to get started making your own textile art. 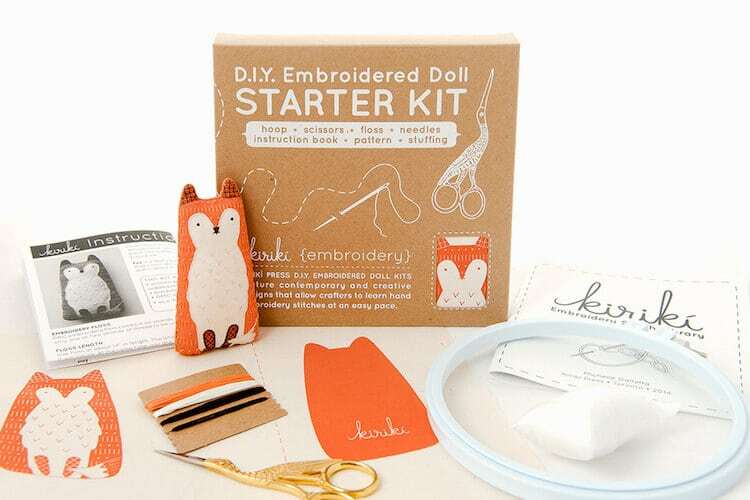 For embroidery enthusiasts, Etsy sellers like Kiriki Press have created kits that’ll teach you embroidery stitches as you construct a playful stuffed animal toy. And Sarah K. Benning doesn’t keep her great patterns all to herself. Once a month, she releases a new pattern for you to stitch on your own. 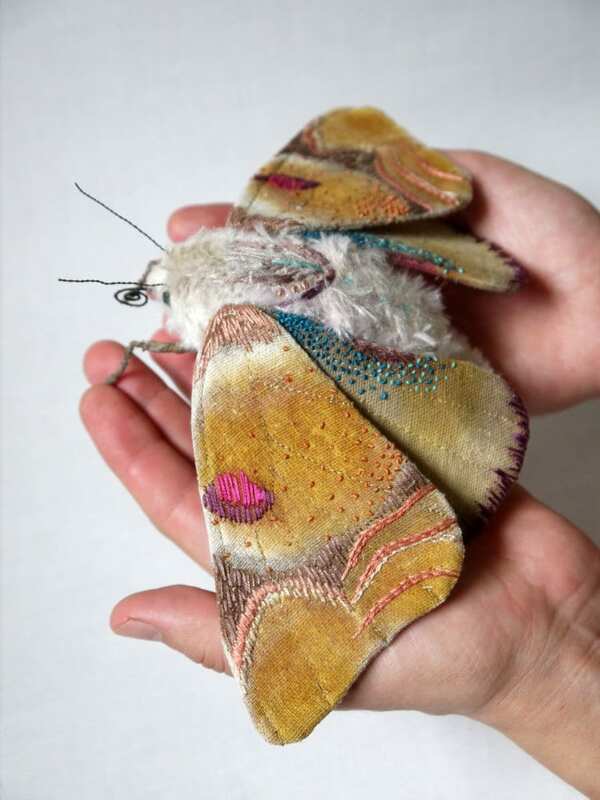 If you prefer video instruction, there are a myriad of creative online classes that’ll show you different fiber art techniques. 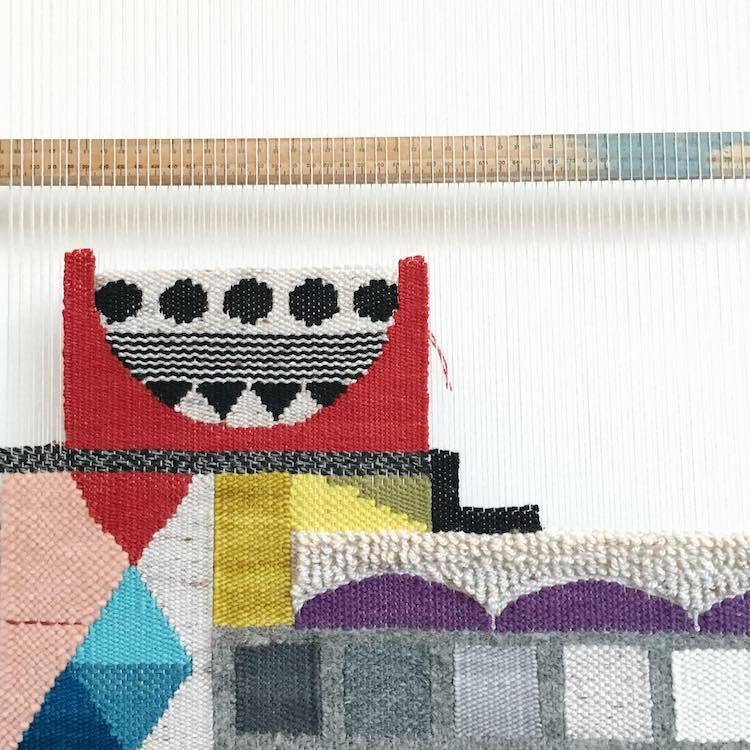 The website Brit + Co hosts a course dedicated to weaving. Likewise, the education site Craftsy has classes to teach you crochet, knitting, sewing, and more. 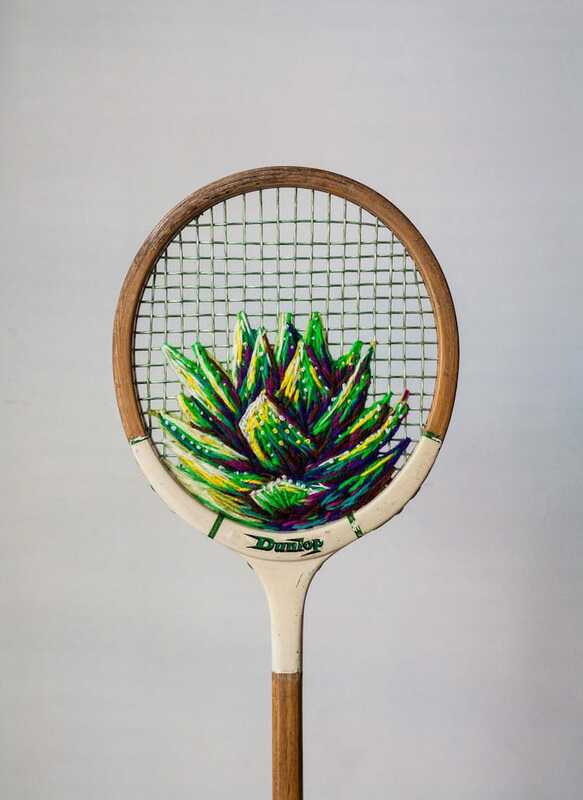 Once you have the basics down, you can begin to create your own textile art that’s truly unique and contributes to the future of this beloved art form.